Triton Submarines LLC brought along their ultra-cool submersable to several of our locations at BLUE2016! The Blue Ocean Film Festival & Conservation Summit attendees enjoyed learning about the future of submarine technology outside of the Mahaffey Theatre for the Premiere of Leonardo DiCaprio's 'Before The Flood', at the Palladium Theater. 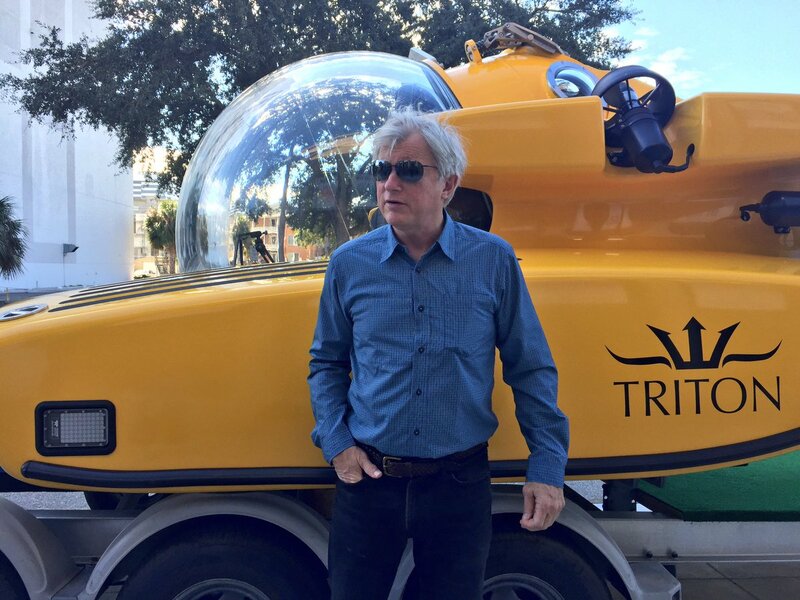 Triton Submarines have become one of BLUE Ocean's biggest supporters, and we consider their work exploring the ocean to be not only extremely important to learn more about our oceans and the life within them but also as a critical tool for building awareness of the many challenges we face as a species.